How Art of Smart Helped Kavi Land his Dream Engineering Job! How Art of Smart Helped Kavi Land his Dream Engineering Job! 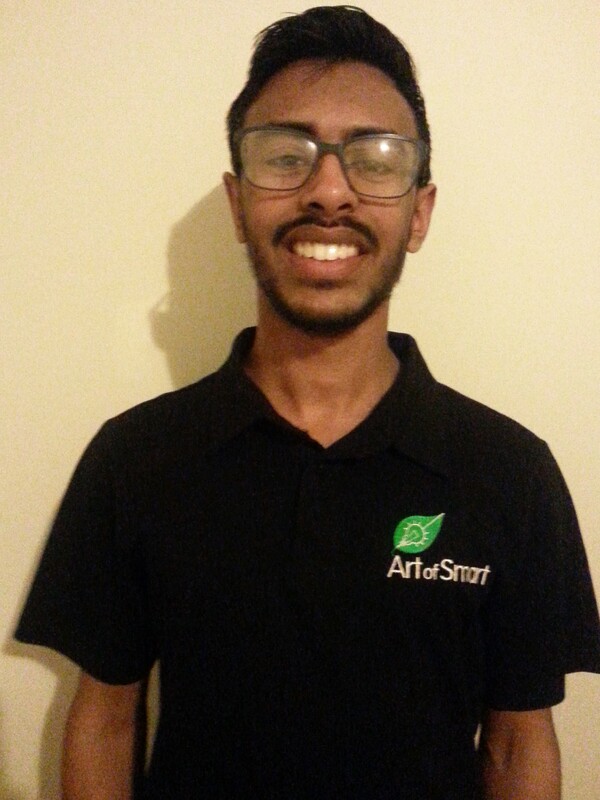 Art of Smart > How Working at Art of Smart Helped Kavi Land his Dream Engineering Job! Find out how Kavi landed his dream job at an Engineering Consulting Firm! I will be working at an engineering consulting firm named GHD. What role will you be doing next year at the firm? What excites you about this? I will be working as an Undergraduate Roads Engineer. I look forward to working alongside experienced engineers and learning lots from them. I’m also excited about the prospect of learning about the practical work involved in designing roads as roads are what connects communities and people together. I was interested in tutoring students and was greatly interested in Art of Smart’s holistic philosophy of mentoring students and helping more than just strictly academically. This rang true to me as I knew during my studies, there were a number of factors that shaped my life as a student such as social activities and learning to cope with stress. During my time at Art of Smart, I developed my ability to communicate and coach others as well as develop interpersonal skills to effectively gauge needs of students and parents. I developed these skills through numerous ways including learning from the experiences I gained mentoring different students as well as support I received from Art of Smart. How did AOS support you in developing these skills? 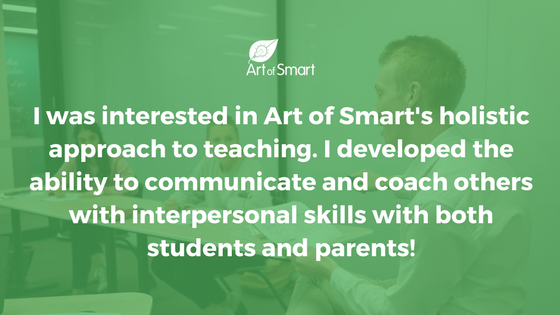 Art of Smart provided me with a number of coaching resources, training and workshops which taught me different teaching strategies and continually challenged me to think about how to proactively communicate and respond to student’s needs. Further, the ‘Moment of Truth’ surveys with Team Leaders gave me a great opportunity to reflect and gain feedback on where I needed to improve as a coach. What’s been your favourite/most rewarding experience while part of the AOS team? My most rewarding and fulfilling moments while at Art of Smart has always been seeing a student of mine struggling with a concept at the beginning of the lesson and being able to understand it by the end through my teaching. How do you feel your work at AOS contributed to you successfully being offered a role with the firm? Definitely, my development in communication and explaining concepts clearly through coaching experience was very helpful in making a good impression during the interview. I believe the employers also valued the practices of creative lesson planning strategies and the holistic mentoring approach that were inculcated at Art of Smart, as evidence of an organised and balanced approach to work. Also, my experiences in communicating with students and parents were a great way to convey to the firm my approach to dealing with different stakeholders in engineering projects. I believe coaches should take a proactive, keen and positive approach to coaching and make use of opportunities available at Art of Smart such as workshops and learning from other coaches. This will help them develop their communication and organisational skills, which will be of great use long into the future.